Daryle Singletary. "I Never Go Around Mirrors". New Live Music Video. - Newhillbilly website. 100% American Roots Music. Daryle Singletary. "I Never Go Around Mirrors". New Live Music Video. 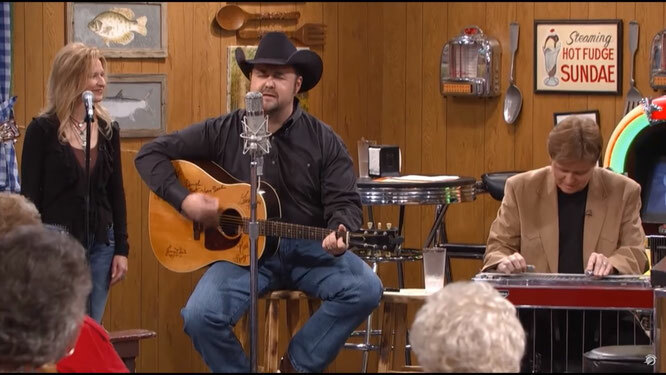 Between 1995 and 1998, Daryle Singletary recorded for Giant Records, for which he released three studio albums: "Daryle Singletary" in 1995, "All Because of You" in 1996 and "Ain't It the Truth" in 1998. In the same timespan, Singletary entered the top 40 of the Hot Country Songs charts five times, reaching number two with "I Let Her Lie" and "Amen Kind of Love", and number four with "Too Much Fun". In 2000, Singletary switched to Audium Entertainment (a division of Koch Entertainment), where he released the albums "Now and Again" (2000) and "That's Why I Sing This Way" (2002), both of which were largely composed of cover songs. A third album of covers, 2007's "Straight from the Heart", was issued on the independent Shanachie Records label. He returned to Koch (now renamed E1 Music) in 2010, to release Rockin' in the Country. Later on he recorded "There's Still a Little Country Left" (2015) and "American Grandstand" with Rhonda Vincent (2017).